Family: Amaranthaceae. Growth form: Small shrub. Flowering. Feb–Mar. Status: Native. Common. Also recorded: Bahrain, E Saudi Arabia, UAE. Habitat & distribution: Occasional to frequent on rocky substrates with shallow sand, or in silty and sandy depressions. 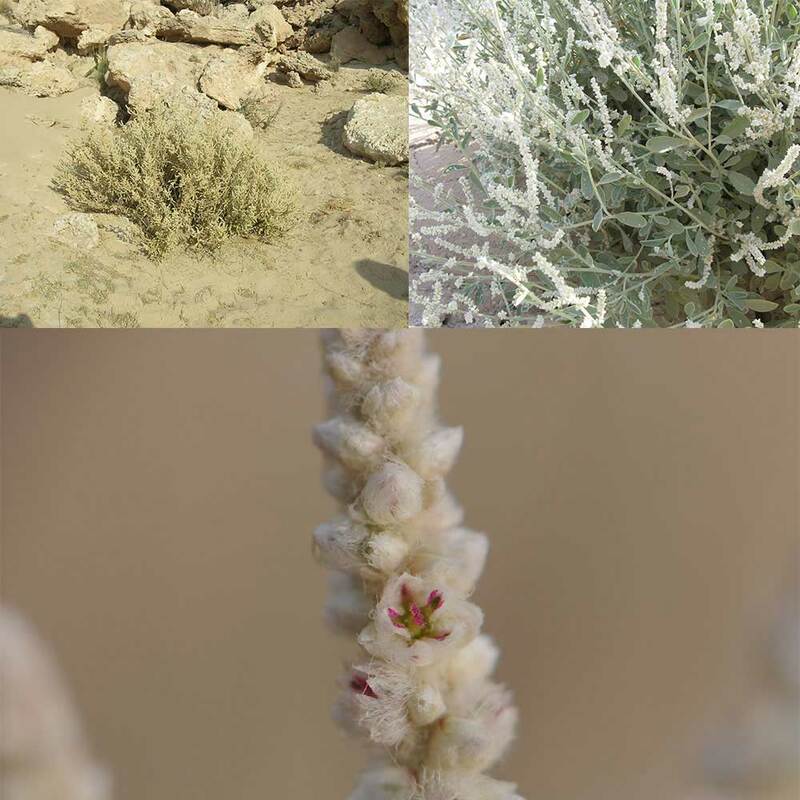 Uses: Several authors note that the Flowering heads were formerly used by the bedouin for stuffing saddles, pillows and cushions. Used as a remedy for toothache and dermatitis, and an infusion is used to reduce swelling (Rizk & El-Ghazaly). Flowers are used as a wound dressing and to stop bleeding; liquid from the roots is used to treat eye diseases in cattle in Saudi Arabia (Ghazanfar).